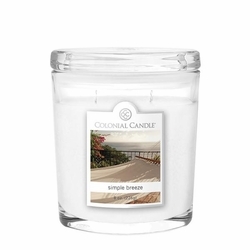 Home > Candles & Diffusers > Candles > Colonial Candles > Colonial Candle Oval Jars - 8 oz. 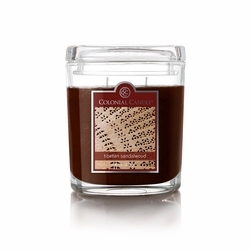 Exclusively sold by Colonial Candle, the unique and elegant 8 oz oval jar is a beautiful accessory for any home. 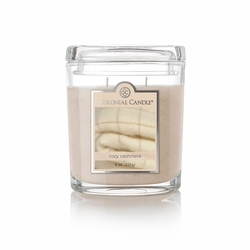 Crafted from their premium wax and all cotton wicks, the 8 oz oval jar burns for up to 50 hours. 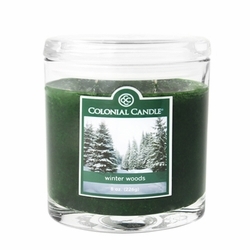 Stroll through the woods, boots crunching in the snow, and the air filled with the scent of pine trees. 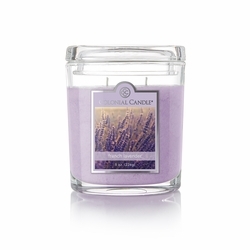 The holiday favorite is a memorable scent of soft pine and warming patchouli. 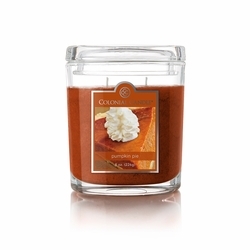 Indulge in a classic, warm pumpkin pie spiced with nutmeg and clove. 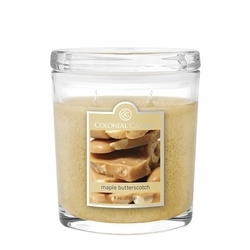 A delightfully scrumptious blend of soft maple, caramelized brandy, and smooth English toffee. 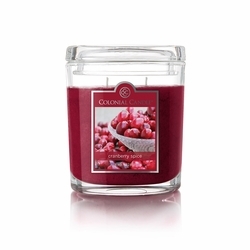 Crisp and refreshing cranberry infused with rich, spicy notes of crushed ginger, cinnamon and nutmeg. 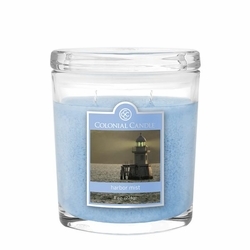 An original Colonial fragrance that blends fresh bayberry with rich clove and cool winter pine. 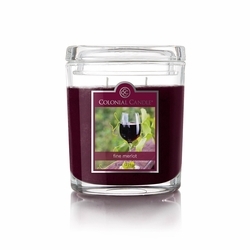 Toast to the sophisticated combination of Merlot grape, plum, and sandalwood. 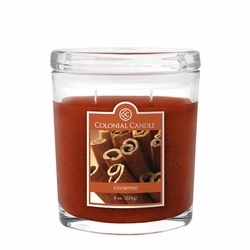 A classic fragrance of heartwarming cinnamon with a touch of rich clove. 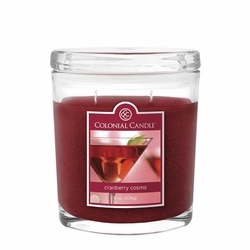 Cheers to the cocktail-inspired fragrance of tart cranberry with a touch of citrus. 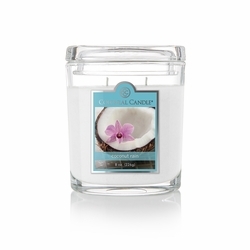 Treasure the clean scent of gentle florals, musk, and a touch of sweet pear. 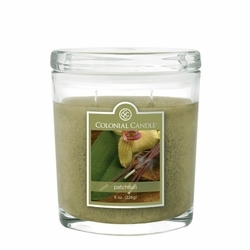 Spanish Moss, patchouli, and cedar rest on a bed of sandalwood, with soft notes of citrus and bergamot. 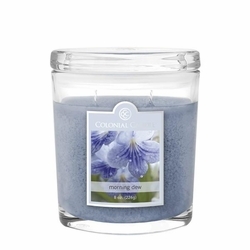 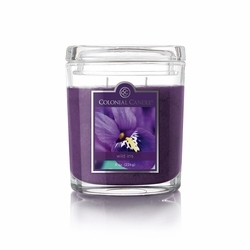 Take in the fresh outdoor feeling of dewy greens and a hint of lavender and geranium. 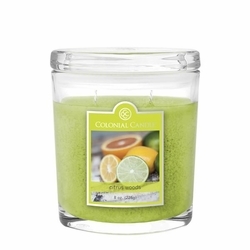 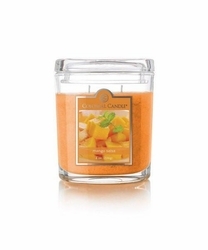 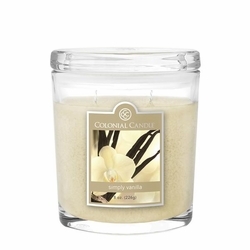 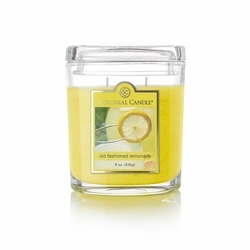 Classic scent calling to mind warm memories of home, comfort, and family.